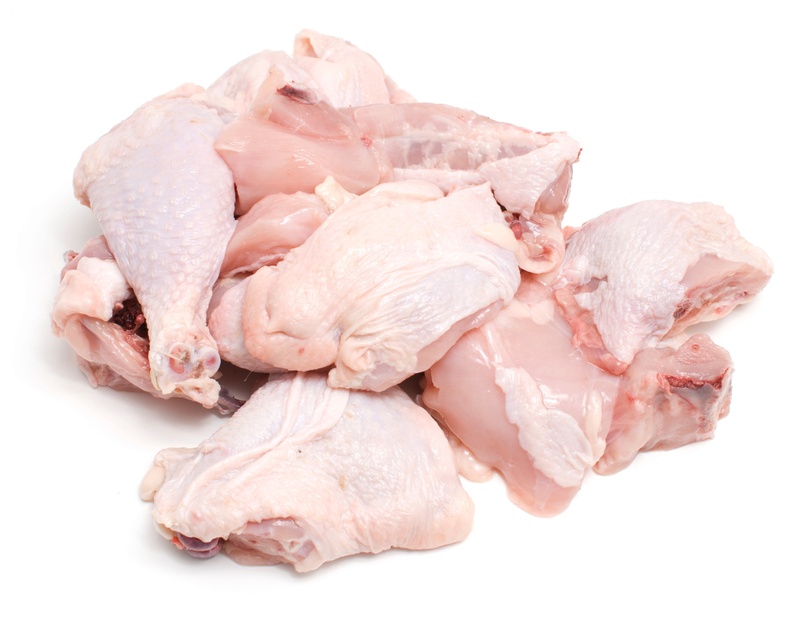 According to a USDA study, up to 25 percent of all chickens sold in America contain Salmonella. Now, the government is taking action — how will your facility react? In an effort to reduce foodborne illnesses linked to poultry by 25 percent, FSIS in February 2016 —after seven years of development— finalized its new pathogen standards for chicken and turkey parts. FSIS has also completed its testing procedures for poultry facilities. In the future, high-volume establishments will be tested weekly and lower-volume establishments less frequently, with results posted online. As these new regulations take effect, proactive poultry processors have already begun planning changes to their operations. Although most plants today use peroxyacetic acid (PAA) and/or other antimicrobials to reduce pathogen contamination on poultry carcasses and meat, the USDA recommends a diversified approach. The foundation of a comprehensive, value-based pathogen intervention strategy is a sanitization process based on good chemistry. For years, chlorine has proven to be an effective method of killing bacteria in wash water. However, keeping the right pH level in the water can be a challenge. A properly balanced pH level in wash water optimizes the strength of the chlorine, ensuring that bacteria is killed off safely. Historically, processors have used bleach or chlorine gas to neutralize pathogens in poultry parts. But these systems tend to be bulky, aren’t always easy to use, and are prone to spills and leaks. Facing increased pressure to effectively decontaminate poultry parts — and to do so safely and efficiently — where should processors look? Axiall Water Treatment Products has developed a value-based solution designed to make pathogen intervention easy, effective, and efficient: The AccuVention™ approach. The two-part solution starts with Axiall’s Accu-Tab calcium hypochlorite-based tablet chlorination system, which provides a consistent level of chlorine delivery for poultry processing wash water. Not only does the system use self-buffering calcium, which is less corrosive on equipment, but the system also minimizes the number of moving parts, reducing clogs, malfunctions, and significantly lower maintenance overhead compared to chlorine cylinders. The other half of the AccuVention™ solution is Axiall’s AcidRite system, which is currently being offered by SES Food Safety Specialists, a distributor for Axiall’s water treatment products. AcidRite uses sodium bisulfate tablets to help normalize the changes in pH levels that are a natural byproduct of chlorine delivery. When the Accu-Tab tablet dissolves in the wash water, hypochlorous acid is produced, killing bacteria more effectively than the raw hypochlorite ion. To ensure a balanced pH level — and excess chlorine — the AcidRite tablets optimize chlorine strength throughout the sanitization process. And, just as the Accu-Tab system eliminates inconveniences associated with more invasive, high-maintenance solutions, the AcidRite system replaces bulky liquid acid totes and drums with a small, 24"x13"x24" unit. It can easily be added to processing lines with minimal engineering, reducing the risk of splashes and handling of heavy equipment, along with the special storage requirements associated with citric acid. In a new regulatory era, processors must find balance — not only the right balance of pH to chlorine, but a balance of compliance and efficiency. By implementing the AccuVention pathogen intervention approach now, processors can get ahead of the curve, with minimal maintenance, and no effect on yields. Learn how the AcidRite system works!